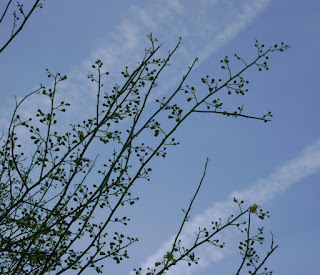 During the last month or so, our spring weather has careened between record-setting highs and unseasonably chilly lows. The weather changes and longer days have triggered a noticeable shift in the bird species around our yard. The last of the Yellow-rumped Warblers headed north a couple of weeks ago, and the White-crowned Sparrows have been gone for about a week. The first White-winged Dove of the season showed up late last week - their arrival usually signals the beginning of our really hot weather (it was 107º two days ago). 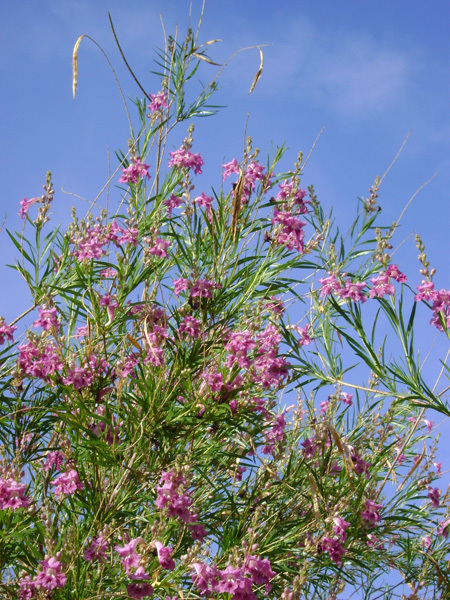 With the most recent hot spell, our Desert Willow and Palo Verde trees really started to bloom. 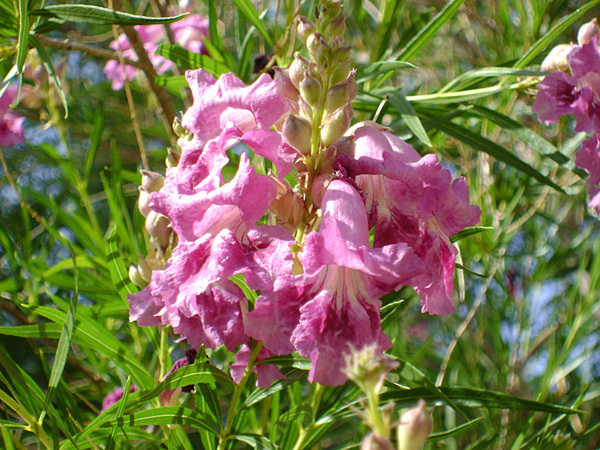 The Desert Willow is covered in clusters of beautiful lilac-pink flowers, about 1-1/2" long. The Palo Verde is completely cloaked in yellow flowers. They are smaller, about 1/2" across. The Palo Verde has green stems, trunk and branches, which gives the tree its common name (in Spanish, palo = stick, verde = green). 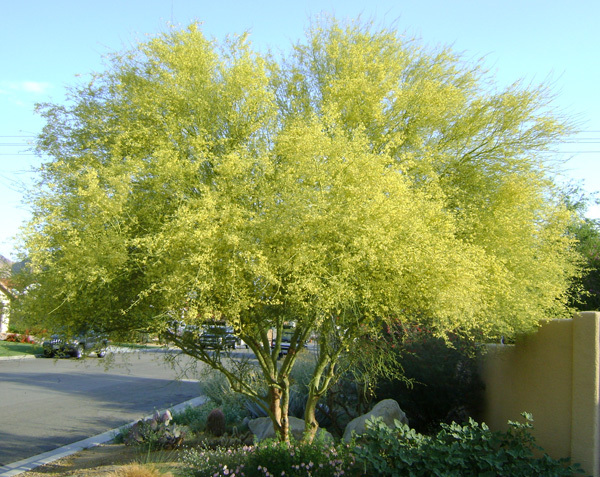 This allows the tree to carry on photosynthesis even if the leaves have dropped because of drought or extreme temperatures. A storm blew through the night before the Whitewater Art Fair, bringing some damp weather to the desert floor and snow on the surrounding foothills. 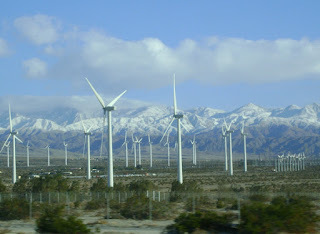 Although the morning was sunny with scattered clouds, the wind was howling and very cold. Even up in the canyon, the cold gusty winds were a challenge to exhibiting artists and visitors. 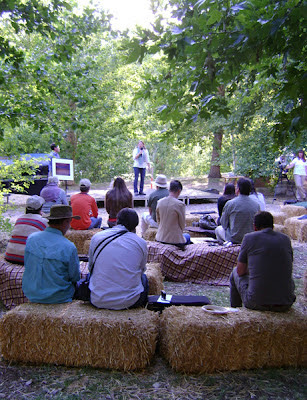 We had a beautiful location for our booth, underneath large shady trees. MacGillivray's Warbler and Swainson's Thrush were two bird species we spotted near our booth. White-throated Swifts were soaring overhead, in the updrafts. Some people were lucky enough to also see a Peregrine Falcon, and a number of Bighorn Sheep along the mountain ridges. 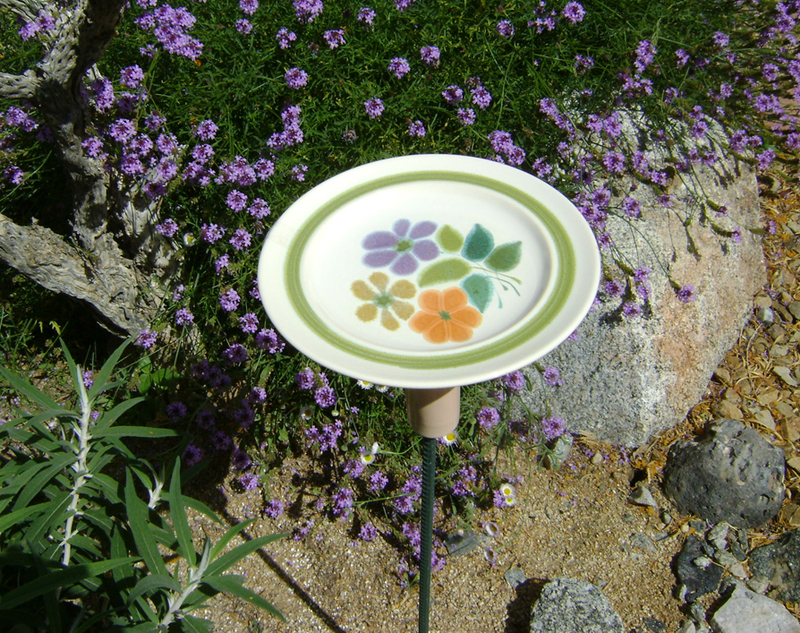 Despite the wind and cold there was a good turnout of guests, and most artists had a successful day for sales (ourselves included). 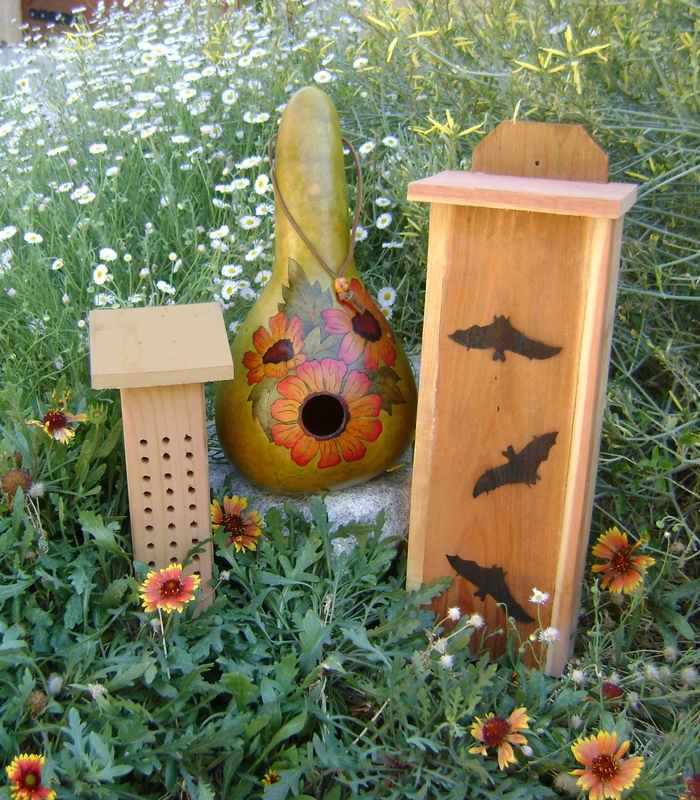 Our Bee Houses were the most popular item for us this time. 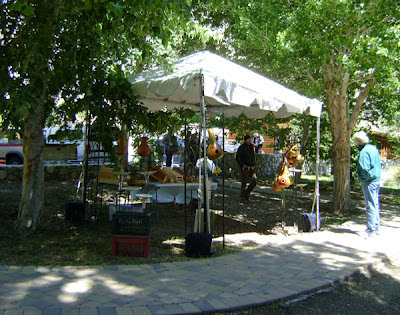 The Art Faire was on Saturday only. Sunday was the Art Auction and fundraiser for Wildlands Conservancy - the non-profit organization that manages the various Preserve properties. 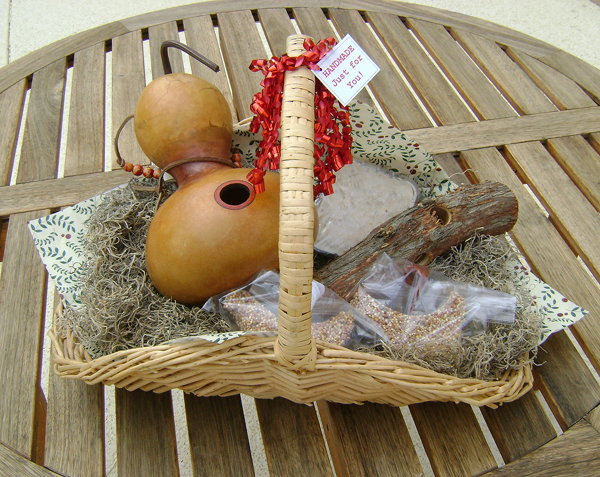 We donated a "Bird Lover's Bonanza Gift Basket" which contained an organic Gourd Bird House, a Suet Log, a block of Suet and some handmade Bird Seed Cakes. 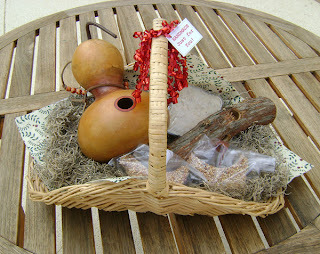 The gift basket sold during the Silent Auction portion of the event. There was also a separate live auction for the larger art pieces, and other goods and services. We will be participating in another Art Show this weekend: "A Matter of Taste - Art and Appetizers in Whitewater Canyon". 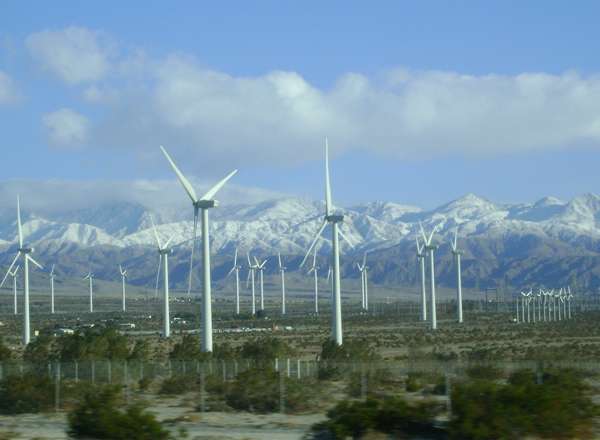 The event will be held on the grounds of the Whitewater Canyon Preserve in Whitewater, California. 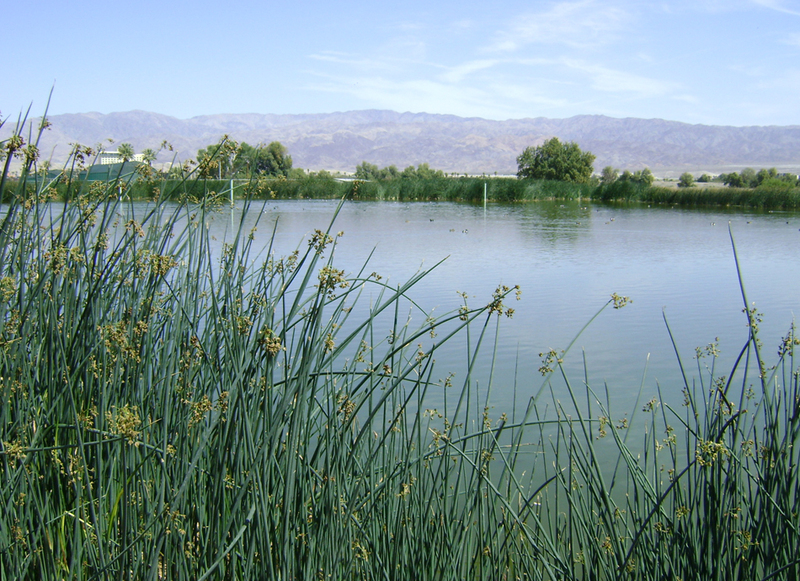 The preserve is managed by The Wildlands Conservancy. This is a 2-day event. The Art Show will be on Saturday, April 14 from 10am-4pm. Sunday 15th is a fundraising art auction, benefitting The Wildlands Conservancy. We will be have our handmade Bird Feeders, Bird Houses and Bee Houses for sale at the event. 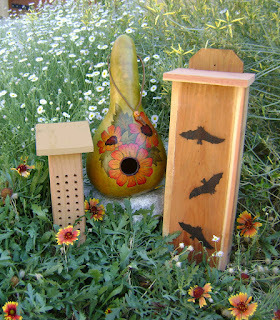 Our new Bat Houses will be available, and we also have new designs in our repurposed Dinner Plate Bird Feeders. 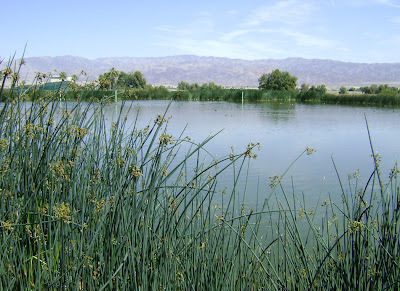 Saturday morning we went to the Coachella Valley Wild Bird Center in Indio, for the April public bird walk. The weather was sunny and comfortable, a really beautiful day for birding. Fifty-three different bird species were seen during the 2-1/2 hour walk. Our bird list included two Crissal Thrashers, a swimming Sora, Cinnamon Teal, two Wilson's Snipe, Roadrunner, and 6 different species of swallow. Ruddy Ducks and Eared Grebes were particularly handsome in their breeding plumage. Marsh Wrens were abundant, active and vocal. 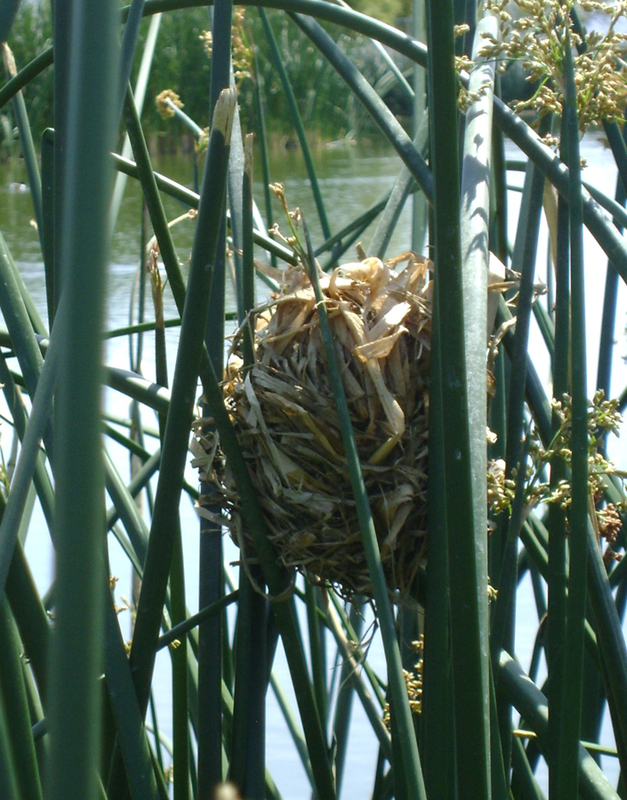 At least 8 of their nests could be seen from the paths. The nests are about the size and shape of a coconut, with an entry hole in the side. 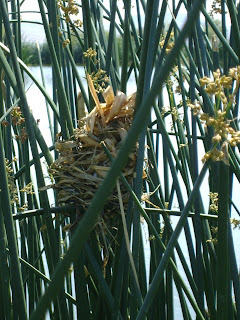 Wet reeds and cattails are woven between green upright reeds, and the finished nest looks like a beautiful artistic basket. One of the birders in our group was a retired school teacher. 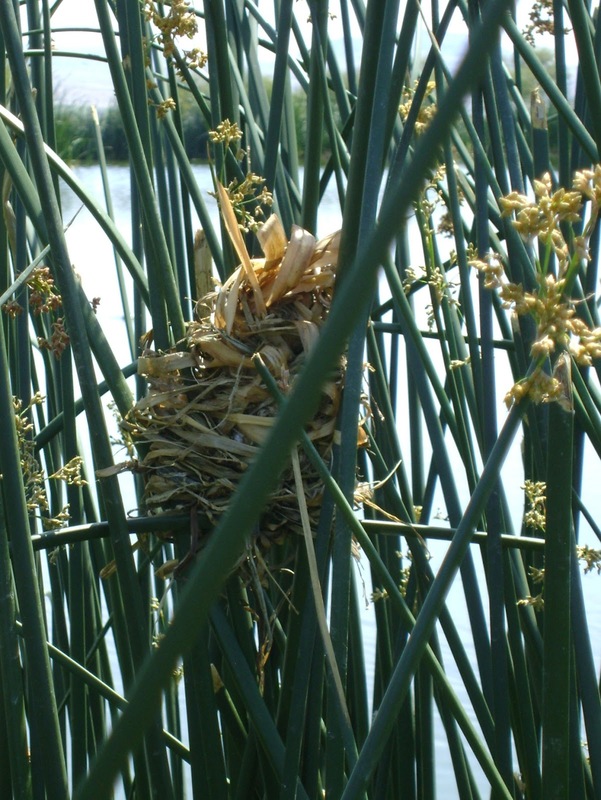 She said she had given her students a "nest building" exercise, using only a clothes pin. They had to use their clothes pin to pick up a bit of nesting material from a table, carry it across the classroom back to their desk, and then attempt to build a nest like birds do. Each piece was another trip, and a dropped piece had to be picked up with the clothes pin. The Wild Bird Center is a non-profit corporation created to care for and rehabilitate injured and orphaned native wild birds (particularly raptors), with the ultimate goal of releasing them back into their habitats. 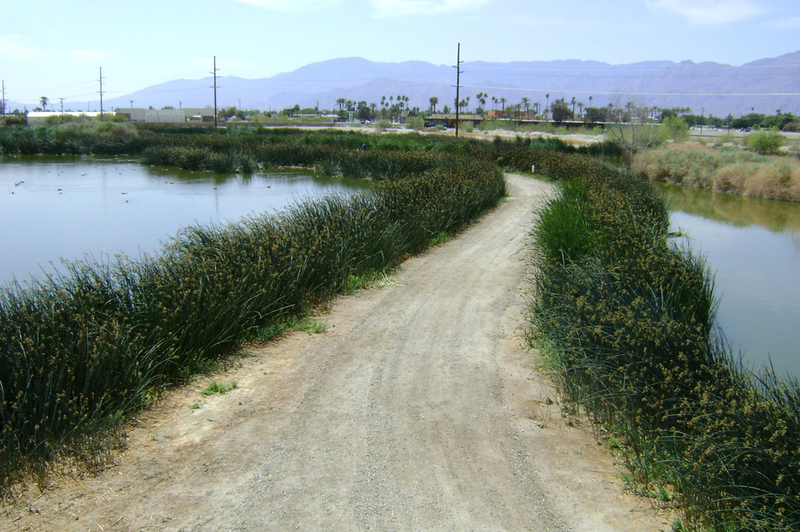 Community education about wild birds is also provided through public bird walks and outreach programs to local schools and organizations. 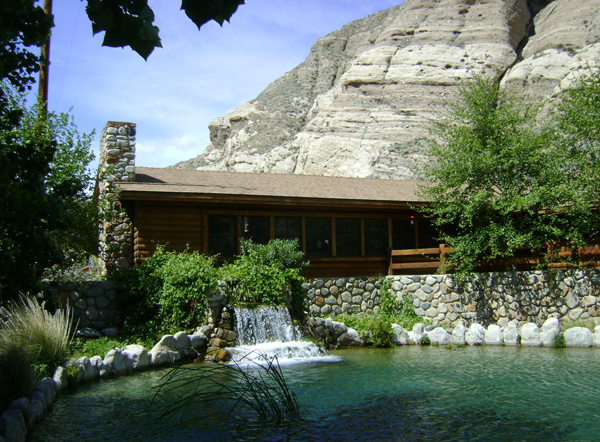 The Wild Bird Center operates solely through donations and volunteers. As part of our wildlife habitat, we built a large wood bee house from untreated lumber and installed it in our courtyard. 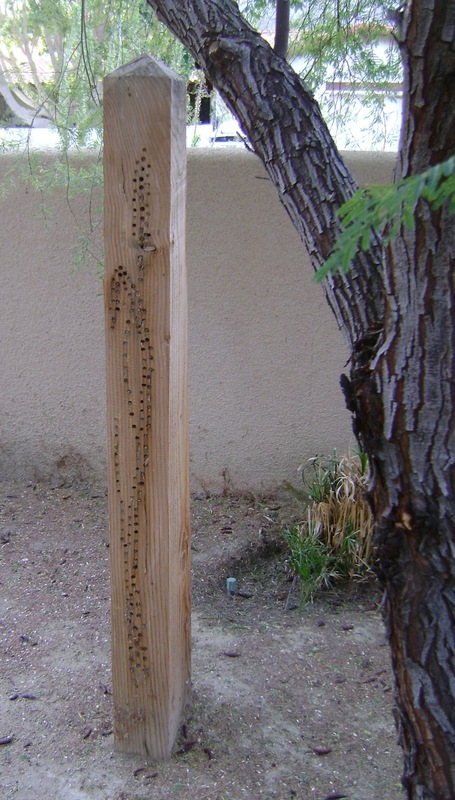 The post is about 5 feet tall, with over 100 holes drilled to provide a nesting site for Solitary Bees. 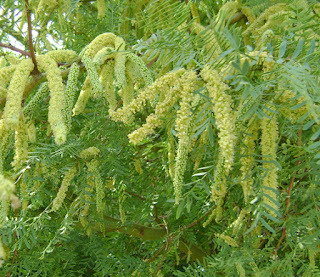 Solitary bees are excellent pollinators and make a welcome garden guest. 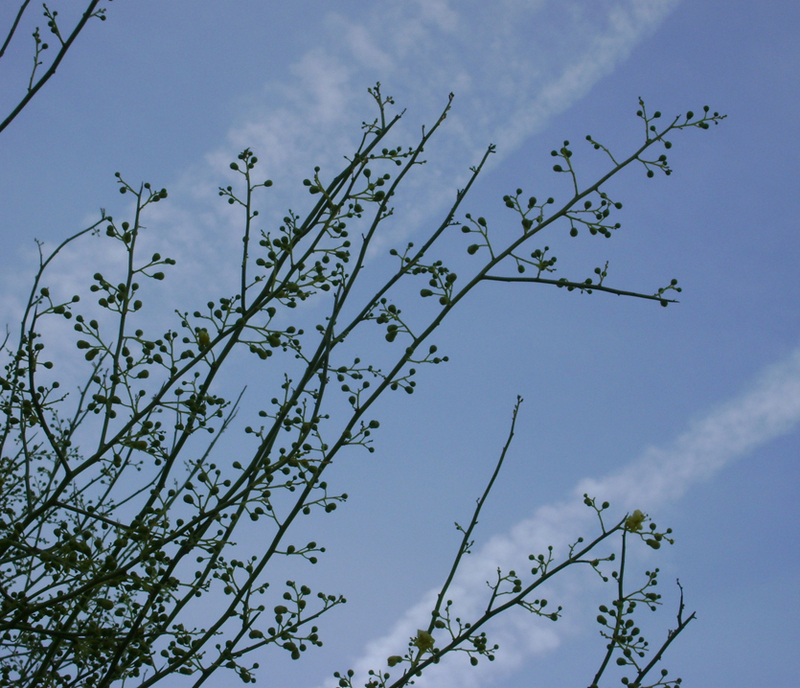 Unlike "social" bees which may swarm and sting, solitary bees are non-aggressive because they do not have a hive to defend. These bees lay their eggs in natural holes they find in trees and branches or man-made structures. Solitary bees do not build their own nest holes. There is a lot of bee activity in our yard. The young solitary bees started emerging a week or two ago, and now there are at least 2 different types of solitary bees using the bee house for egg laying. Here are some pictures. One of the bee species using our bee house has a long, narrow pointed abdomen, with beautiful light markings on its head and thorax. It is relatively calm and slower moving that the other species. 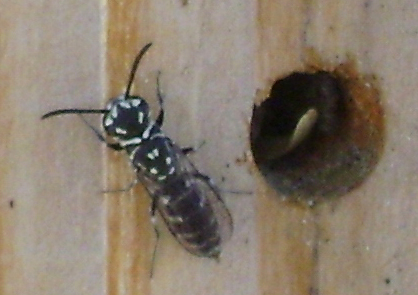 The second solitary bee species (right) has a more rounded abdomen. 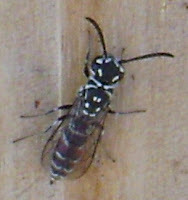 It is plainer than the other solitary bee, and a lot faster and more active. It was difficult to get any pictures of them, but I managed a few. The picture on the left shows the bee's abdomen and legs covered with pollen. 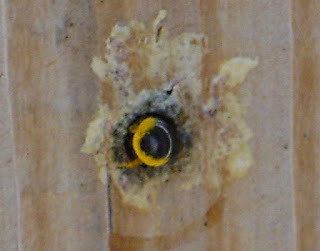 Sometimes instead of going into the hole head first, the bee would back into it to deposit her eggs. 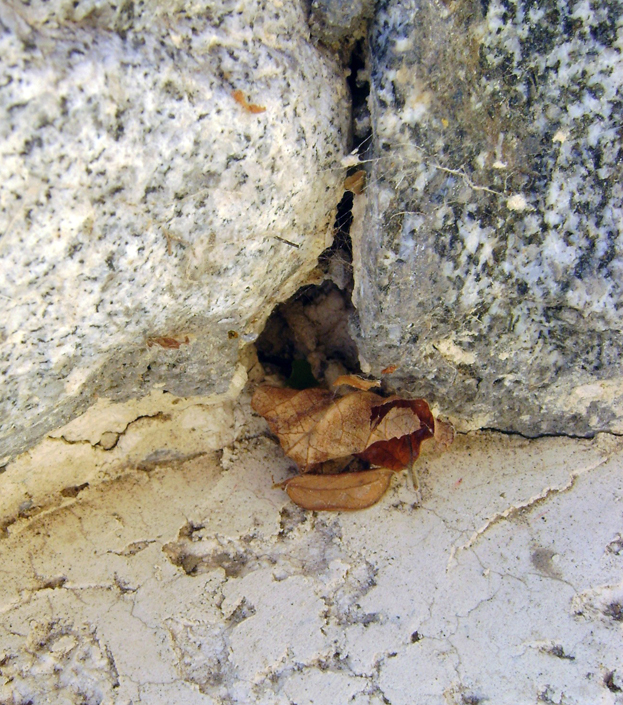 The picture on the right shows the bee's face as she is coming out of the hole. Another solitary bee was using a hole in the base of our waterfall for depositing her eggs (below). The hole measures about 3/8" across. Solitary bees have an interesting life cycle. 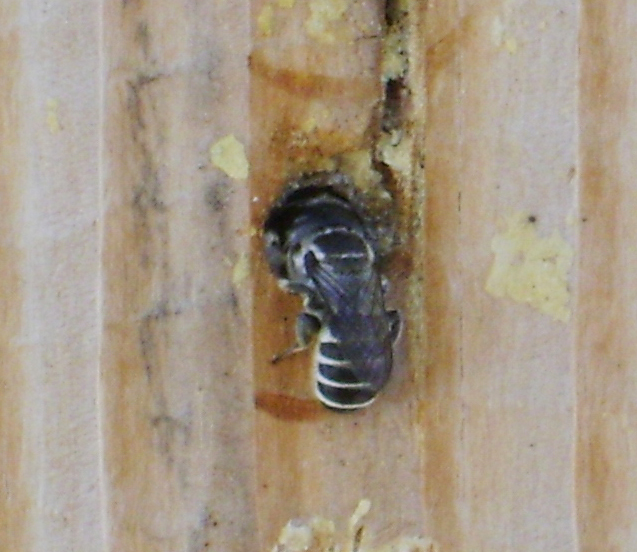 After mating in the spring, the female solitary bee lays her eggs in cavities, preferring narrow, tube-like openings. 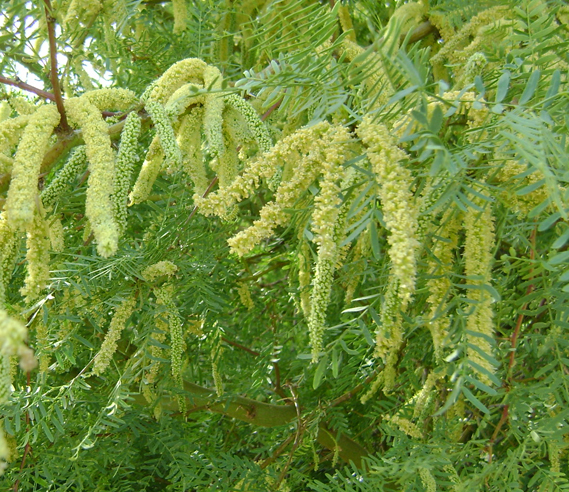 Each egg is provisioned with pollen and nectar, and the cell is sealed off with mud. She creates more partitions in the tube, each holding an egg and its provision of pollen and nectar. After completing the final cell in the tube, the opening is walled off with mud and plant material. Later as each egg matures into a larvae, it consumes the stored food and the spins a cocoon, pupating through fall and winter. 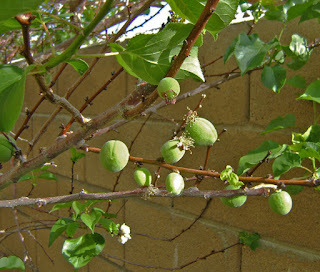 The young bees will emerge in the spring to mate and begin the cycle again. 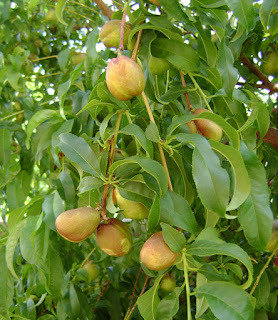 The bees have done their job, and the nectarine, peach and apricot trees are all setting fruit. The nectarines and peaches are about golf ball sized right now. 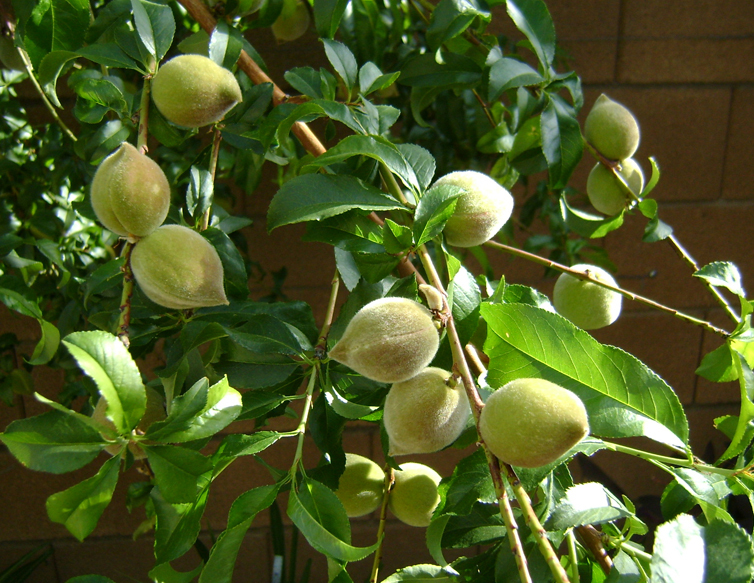 We should be able to start harvesting them before Mother's Day. The apricots bloomed later than the other two, and are about the size of large marbles. 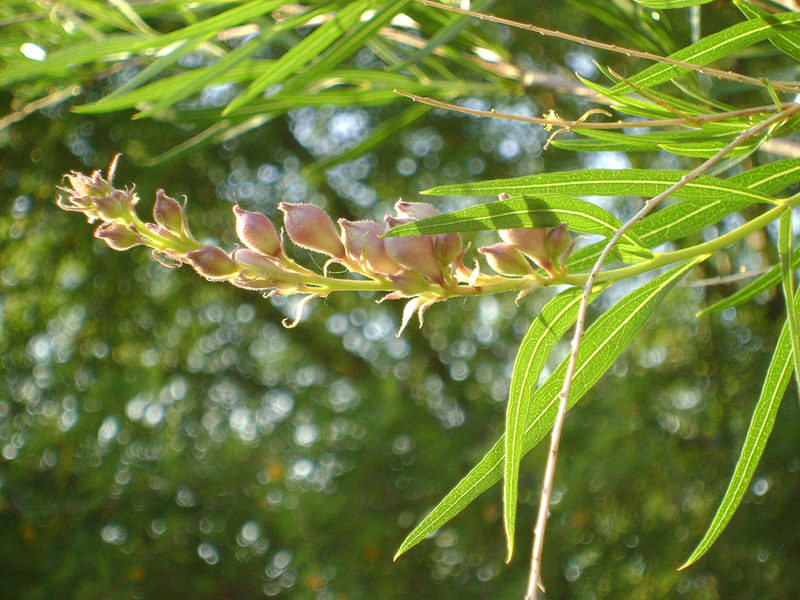 The mesquite trees are still blooming and are full of birds and pollinating insects. 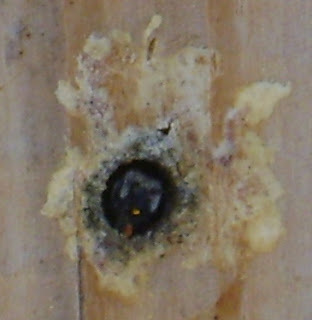 The large black carpenter bees are especially numerous; there were at least 6 in just one of the trees. 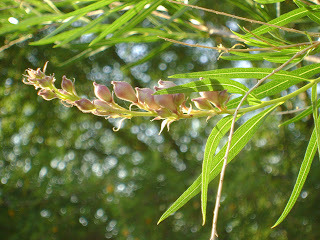 The Desert Willow and Palo Verde trees are just starting to bud out with the warmer weather we've enjoyed recently. Desert Willow will have beautiful lavender-pink flowers that look like orchids. 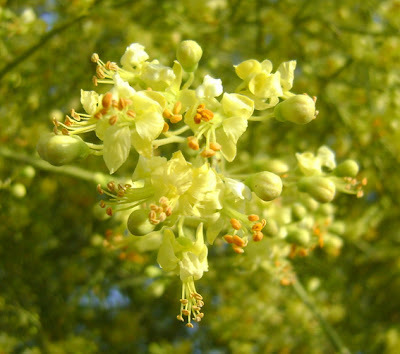 The Palo Verde tree will soon be completely blanketed with delicate buttery yellow-colored flowers.